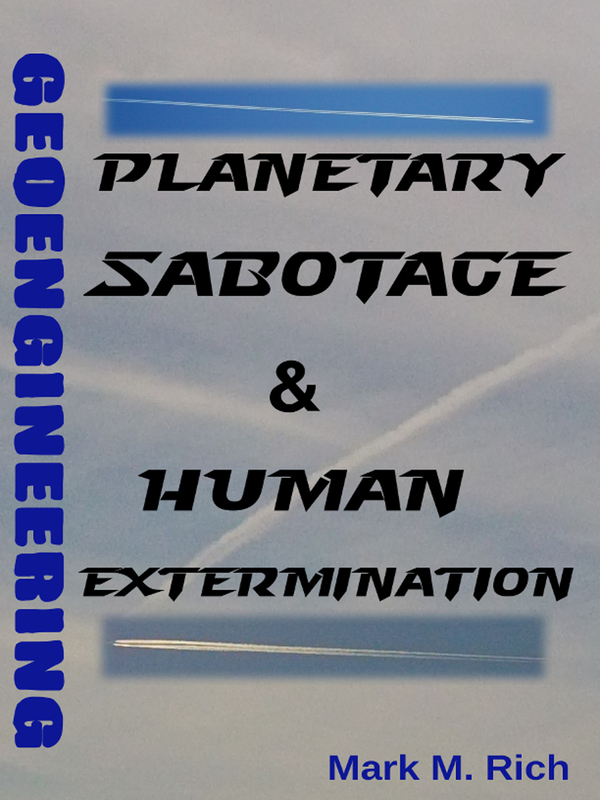 Now that we have an understanding of why a group of people would be motivated to control the planet, have a basic knowledge of how overthrows occur, and are aware of the methods they use to pass their repressive laws, it will be easier to explain that several groups functioning in unison have been involved in a process of global consolidation. There are many organizations involved in the current global revolution. They appear to the public as separate initiatives with little political influence, devoted to the betterment of humanity. They include: the RAND Corporation, Council on Foreign Relations, Bilderberg Group, Trilateral Commission, Round Table, Royal Institute for International Affairs, and various large tax-exempt foundations. That these organizations exist can’t be denied. Although there is some debate as to what their true motives are, it is a matter of public record that they exist. When the US Congress examined some of these organizations in the 1950s, they were able to glimpse behind their ideology and learned that despite their seemingly positive intentions, they were in fact installing a global government. It will be helpful to remember that when evidence is presented in this and future chapters which illustrates a pattern of these groups advocating the reduction of civil liberties, targeting of civilians, and globalism, that they do not serve the public as they appear to. As we’ve discovered, psychopaths will form groups for the sole purpose of obtaining power, which they conceal with an ideology that professes only the most humanitarian purposes. However, as Dr. Lobaczewski suggests, if such a group had its ideological mask removed, nothing would remain except moral and psychological disease. In this and future chapters we’ll take a glimpse behind the ideological masks of these groups. Former Georgetown University Professor Carroll Quigley has authored multiple books and served as a consultant to the US Department of Defense, the Brookings Institution, and the Smithsonian Institution. He studied a portion of this network for decades and was permitted to observe its records in the early 1960s. He published some of his findings in his books, The Anglo-American Establishment and Tragedy and Hope: A History of the World in Our Time, which are considerably sourced in this chapter. Members of this group would eventually include: Arthur Balfour, Sir Harry Johnston, Lord Rothschild, Albert Grey, Arnold Tonynbee, Lord Alfred Milner, Arthur Glazebrook, George Parkin, Henry Brichenough, Lyttelton Gell, and Edmund Garret. The funding for this group would come from Rhode’s fortune, a portion of which he left in his trust after his death in 1902. This trust was managed by Lord Milner until 1925 and more funding for the Round Table group originated from wealthy families such as Beit, Astor, and Bailey. Then, beginning in 1925 significant contributions came from other wealthy families associated with international banking and private foundations such as Carnegie, Morgan, Rockefeller, and Whitney. The purpose of the group was the global expansion of the British Empire. It was to bring all of the major countries of the planet under the rule of the British Crown. A portion of Rhodes’ fortune was devoted to a program at Oxford University known as the Rhodes Scholarship, which allows for students to learn ruling class concepts. The scholarship, according to Professor Quigley, is run by the Round Table group which uses it to promote the global expansion of the British Empire. Between 1910 and 1915 the group studied the causes of the American Revolution and the lessons they learned. They discussed more subtle and efficient methods for expanding the empire globally. “They were constantly harping on lessons to be learned from the failure of the American Revolution and the success of the Canadian federation of 1867,” Professor Quigley tells us. They learned the dangers of using military forces to rule their vassal countries from London. It was decided that military occupations were too costly and overt. Instead, bonds of economic captivity were to be established in all target countries. The debt vassal countries were to be given the illusion of freedom in an informal empire. The British elite found this to be a more effective method of enforcing their rule than keeping soldiers in the streets or using them to collect taxes in support of the empire. They also decided it would be best to change the name British Empire to Commonwealth of Nations, which would eventually become the League of Nations. From 1884 to about 1915 this group worked nonstop to extend the British Empire. They established these informal Round Table groups for discussion and lobbying in each target country where the political, financial, and educational leaders of each nation would be recruited. By 1915 the Round Table group existed in South Africa, Canada, Australia, New Zealand, India, and America. It still functions in 8 countries. The American branch was run by George Louis Beer, Walter Lippmann, Frank Aydelotte, Whitney Shepardson, Thomas W. Lamont, Jerome D. Green, Erwin D. Canham, and others. The informal name given to the American branch of the Round Table was the Eastern Establishment, which has played a significant role in American history. It includes wealthy families on the east coast that formed financial alliances such as Rockefeller, Whitney, Payne, Morgan, and others. They function through a network of banks, insurance companies, utilities, and other corporations. They have used foundations, academic centers, and other tax-exempt refugees to shelter their financial endowments. The Eastern Establishment is outside of parties. It began influencing both major political parties in 1880 and gained considerable control over them by 1900. This alliance of wealthy families is centered in New York, with satellite bases in Pittsburgh, Cleveland, Chicago, and Boston. The Paris Peace Conference, which took place in Paris from January 18, 1919 to January 21, 1920, was the meeting of the Allied victors at the end of WWI to set the peace terms for Germany and other nations. Also discussed at this meeting were changes to the geological conditions of parts of Europe. The conference was organized by President Woodrow Wilson and his foreign policy advisor Colonel Edward M. House. A treaty known as the Treaty of Versailles was created during this conference which contained guidelines to consolidate the countries of the planet into a League of Nations as a way of preventing future wars. This league was heavily promoted by Wilson and House. An important consideration here is that Wilson’s campaign was backed by Bernard Baruch, who, along with the Rockefellers, profited hundreds of millions from the war. And Colonel House had close relationships with international banking interests such as the Schiffs, Warburgs, Kahns, Rockefellers, and Morgans. Also at these meetings were American delegates associated with J.P. Morgan such as Thomas Lamont and Bernard Baruch. In addition, Round Table members from England attended as expert advisors. Round Table members such as Lord Milner, the South African Prime Minister Jan Christiaan Smuts, and Philip Kerr prepared drafts for the organization of the league. A type of constitution for the league was created by the group entitled The League of Nations: A Practical Suggestion. It contained mandates and articles, including the Covenant of the League. This constitution was presented by Smuts at the conference. Lord Milner signed the Treaty of Versailles. And between 1920 and 1938 most members of the Council of the League of Nations which attended its sessions were members of this Round Table group or close to it. However, the US congress didn’t ratify membership in the league, so it was not successful. According to some researchers, the League of Nations was a method for the British and American elite to seize control of other countries under the guise of maintaining world peace. This certainly appears to be the case since it was run by the Anglo-American Establishment. Beginning in 1919 the Round Table group decided to create what Professor Quigley refers to as front groups. This occurred at a meeting in May of 1919 at the Hotel Majestic in Paris during the Treaty of Versailles. This meeting was attended by Lionel Curtis, Lord Milner, Philip Kerr, Lord Robert Cecil, and other Round Table members. The name for the front would be the Royal Institute for International Affairs (RIIA). An additional one would be created later called the Institute of Pacific Relations (IPR). These RIIA/IPR groups sprung up between 1919 and the early 1930s in all major British dominions, including: America, Australia, New Zealand, Canada, South Africa, China, Japan, France, The Netherlands, and the Soviet Union. They were formed around the existing Round Table groups which had already been established in these countries. In America it was known as the Council on Foreign Relations (CFR), and was originally run by J.P. Morgan. These fronts for the Round Table allowed it to formally expand its ideas of British imperialism. The Council on Foreign Relations (CFR) was officially established in July of 1921 as a counterpart of the RIIA created in 1919. Although the CFR and RIIA became independent organizations, they have always maintained close ties. It was originally run by Morgan men and financed by Morgan money. The founding president was John W. Davis, with Paul Cravath as the vice president. The CFR included a council of 13 others from the Morgan Bank such as Owen D. Young, Russell C. Leffingwell, Norman Davis, Frank L. Polk, Whitney Shepardson, Isaiah Bowman Stephan P. Duggan, Otto Kahn, and George Wickersham. Some other early members include: Henry Davison, Harold Swift, W. Averill Harriman, Thomas Thacher, John Foster Dulles, Allen Dulles, Thomas Lamont, Paul Cravath, Paul Warburg (one of the creators of the Federal Reserve), Mortimer Schiff, and various other Morgan partners. The CFR exerted control over public opinion using media outlets such as the Christian Science Monitor, Boston Evening Transcript, Washington Post, New York Herald Tribune, and New York Times. It is made up of international bankers, members of other think tanks, foundation executives, ambassadors, past and present presidents, lobbyists, secretaries of state, media owners, university presidents, Supreme Court and federal judges, and military leaders from the pentagon and NATO. CFR members have included executives from the following media outlets: New York Times, Washington Post, Los Angeles Times, Knight Newspapers, NBC, CBS, Time, Life, Fortune, Business Week, US News and World Report, etc. The CFR basically describes itself as a nonprofit, nonpartisan organization, dedicated to improving the understanding of foreign policy by exchanging ideas. Past funding for the CFR has come from General Motors, Bristol-Meyers Squib, Texaco, Xerox, German Marshal Fund, McKnight Foundation, Dillon Fund, Ford Foundation, Rockefeller Foundation, Andrew W. Mellon Foundation, Starr Foundation, and the Pew Charitable Trusts. When the core members of the CFR decide that the US Government should adopt a particular policy, significant resources are organized to promote the policy and to discredit any opposition. It has been the source of some major government decisions, and serves as a recruiting ground for high ranking government officials. A September 1922 issue of its magazine Foreign Affairs mentioned that world government was necessary if peace and prosperity were to be realized. Study Number 7, released by the CFR in 1959, mentioned building a “new international order” which would be under the control of the UN. Researchers have concluded that despite the appearance of being an innocent forum for the exchange of ideas, its ultimate goal is the consolidation of the global economy into the hands of a few wealthy families who intend to create a global dictatorship. The CFR has been described by the Reece Committee, which investigated tax-exempt foundations in the 1950s, as a “virtual agency” of the US Government which has propagandized the creation of a global government. A congressional investigation known as the Commission on Industrial Relations setup in August of 1912 was the first to examine the major tax-exempt foundations. It was initially created to study labor conditions and the treatment of workers by the major U.S industrial firms, but extended its investigations to the charitable organizations (tax-exempt foundations) that they were interlocked with. They were particularly interested in Carnegie and Rockefeller. What they discovered seriously concerned them. During the commission hearings, future Supreme Court Justice Louis D. Brandeis testified on January 23, 1915 to what he described as an “emerging danger” that was so powerful that the existing governmental structure was insufficient to control it. He further explained it as a state within the state that could “summon forces from all parts of the country” at any time to carry to what it deemed necessary. The commission learned that, rather than being used for charitable reasons, the foundations were being used by these wealthy elites for unlimited purposes. They had enormous financial resources and were privately managed. The commission concluded that because these private financial entities represented such a grave menace to the republic they should be eliminated. However, no actions were taken to dismantle them. Another attempt to investigate foundations occurred between 1952 and 1953 under the Cox Committee led by Congressman Edward E. Cox. On August 1, 1951 Congressman Cox introduced a resolution in the House of Representatives to conduct a thorough investigation into tax-exempt foundations. His resolution was passed in the same year. Evidence that Congressman Cox had observed made him conclude that some of these institutions were being run by people who were using them for subversive purposes. “They should be investigated and exposed to the pitiless light of publicity,” he commented. Unfortunately Congressman Cox died before his investigation was completed. The commission met the same fate as the one before it. No actions were taken to prevent the expansion of these large foundations or make them accountable to the public. Although the final report released in January 1953 was a whitewash, it did conclude that these foundations were basically subversive and using their resources to destroy the republic in favor of socialism (communism). One more attempt to investigate tax-exempt foundations occurred between 1953 and 1955 during the Reece Committee hearings, run by Congressman Carroll Reece of Tennessee. Congressman Reece planned to continue the investigation started by Congressman Cox. It was approved in July of 1953. Once again, the Rockefeller and Carnegie foundations, and the Carnegie Endowment for International Peace, were investigated. Other organizations which came under investigation included: The Ford Foundation, RAND Corporation, American Council of Learned Societies, National Research Council, Social Science Research Council, and American Council on Education. The committee also had an interest in investigating the National Education Association, League for Industrial Democracy, Progressive Education Association, American Historical Association, John Dewey Society, Anti-Defamation League, and Council on Foreign Relations. That many of these groups were interlocked at the top, with their officers and trustees having cross memberships in multiple groups. That the foundations were funding projects in the social sciences for social engineering that were destructive to the moral, religious, and governmental principles of our society. That the foundations were engaging in subversion by funding projects and promoting socialist/communist ideas to destroy the sovereignty America. The foundations combined their forces to function as a single entity in order to maximize their efforts. The foundations created intermediary organizations which they used as public fronts to sponsor their private subversive political projects. They used public relations firms and the media to portray themselves to the public as humanitarian groups. 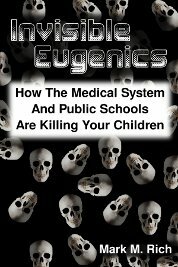 The foundations, intermediaries, and interlocks were also strongly controlling public education using their vast funds. The goal of these groups was the creation of a global government. The committee’s research director Norman Dodd was able to see the minutes of the Carnegie Endowment for International Peace, where their Board of Trustees discussed if there was any method other than war to cause rapid change in a nation’s policies. According to Dodd, it was decided in the beginning of 1909 that war was the ideal method. The next issue that the Carnegie board discussed was how to involve the US in a major war. Dodd was also able to examine the correspondence that the board had with President Wilson, where Wilson was told not to let WWI end too quickly. When Dodd observed the minutes of the Carnegie Foundation he noticed that their members were congratulating themselves on having gotten America involved in WWI. They were pleased with the resulting possibility of world government which it caused. Dodd was also able to determine that the Ford Foundation was using its funds to alter life in the US so that it could be merged into Communist Russia. Norman Dodd, the Research Director of the committee claims that the trials were discontinued because witnesses were being harassed, placed under surveillance, and stalked. Blackmail, death threats, and framings were used. Dodd himself says he was placed under surveillance, stalked, and had his reputation destroyed. The famous author H.G. Wells, who was connected to this group and is known for his fiction work, has also written nonfiction books such as The Open Conspiracy (1928) and The New World Order (1940), in which he described how a global revolution was taking place that would result in a communist world community that would follow a world religion. Professor Quigley mentioned that these wealthy elite have used communists and other groups to consolidate the countries of the planet, and would continue to use them. The Bolshevik Revolution of 1917 in Russia was funded by interests such as Rockefeller, Rothschild, Schiff, Morgan, Warburg, and Harriman. Jacob Schiff, head of Kuhn, Loeb and Co. and a long-time associate of the Rothschilds provided $20 million for the revolution, and continued to fund Stalin’s first five-year plan. Averill Harriman’s Brown Brothers Harriman, working with the J.P Morgan’s Guaranty Trust Company also funded the revolution of 1917. After the communists took power, Rockefeller Standard Oil of New Jersey purchased most of the Russian oil fields. Standard Oil of New York then built an oil refinery to arrange for its product to be marketed to Europe. At the end of WWI the US Federal Reserve was lending millions to the new communist dictatorship through Chase, Guarantee Trust, and other New York banks. In the 1920s Averill Harriman and J.P. Morgan helped setup the Ruskombank, the first Soviet central bank. The vice president of Guaranty Trust, Max May, became the first president of Ruskombank. In the late 1960s Rockefeller and other industrialists built synthetic rubber plants and an aluminum factory in Russia totaling about 250 million dollars. Chase Manhattan built the 5-million-dollar Kama River truck factory which was successfully used for military purposes, including the creation of armored vehicles and rocket launchers. Wall Street continued to fund Communist Russia as it supplied war materials to the Vietnamese communists which the US was fighting in Vietnam. Communist Russia was built primarily from Wall Street. According to some researchers Wall Street created this communist dictatorship as one of its colonies in a global empire. Wall Street also brought Adolph Hitler into power, built the Nazi War Machine, then covered up its connection to Nazi Germany. An examination of this process reveals that the Council on Foreign Relations was an active participant. Germany went into a recession and could not pay the harsh penalties which were decided during the Treaty of Versailles. So in April 1924 a banker connected to J.P. Morgan named Charles C. Dawes introduced another payment plan for Germany known as the Dawes Plan. The Dawes Plan, a solution for the hyperinflation crisis, was officially started in September of 1924. 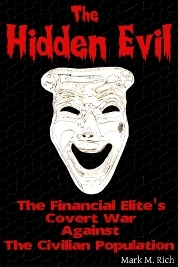 It allowed the Anglo-American Establishment to take complete financial control over Germany. Hjalmar Schacht, president of the central Bank of Germany (Reichsbank) from 1923 until 1930, was a frontman for the Bank of England and J.P. Morgan. He was also a personal friend of Montagu Norman of the Bank of England. In 1926 Schacht began to back the National Socialist German Workers Party (Nazis) and acted as a liaison between German industrial leaders and foreign financial leaders such as Montagu Norman. The British support for the Hitler Project reached to the highest levels, including Prime Minister Neville Chamberlain, Philip Kerr of the Round Table who advised Chamberlain, Montagu Norman, as well as the Prince of Whales who later became Edward VIII in 1936. On January 4, 1933 Adolph Hitler met with Baron Kurt von Schroeder of the Schroeder Bank at von Schroeder’s villa, where his financial backing was arranged until he seized power, and a plan was finalized to topple the government of Germany and install a fascist dictatorship. Also at the meeting were John Foster Dulles and his brother Allen Dulles, senior partners in the law firm Sullivan and Cromwell of New York, which provided the legal council to the Schroeder Bank. John worked for J.P. Morgan and had been a founding member of the CFR since its inception in 1921. Similarly, his brother Allen was the CFR’s director in 1927. On January 30, 1933 Hitler became chancellor of the Reich. Norman visited Berlin in May of 1934 to arrange for further financial stabilization of the new regime. Hitler made Schacht his minister of economics and president of the Reichsbank. The financial interests that built Nazi Germany were: Morgan, Rockefeller, Warburg, General Electric Company, Standard Oil, National City Bank, Chase Bank, Kuhn, Loeb and Company, DuPont, General Motors, and Ford Motor Company. More US companies that were involved include: Brown Brothers Harriman (BBH) and Union Banking Corporation (UBC), both of New York. Prescott Bush, grandfather of George W. Bush, was a partner at BBH and a director of UBC. Max Warburg and his brother Paul Warburg (Federal Reserve architect) were both on the boards of directors of Interssen Gemeinschaft Farben (I.G. Farben) in Germany and America, respectively. I.G. Farben produced the Zyklon-B gas used in the Nazi concentration camps. The American branch of I.G. Farben included CFR members such as Henry A. Metz (a founding member), Charles E. Mitchell, and Paul Warburg himself. International Business Machines (IBM) of New York supplied the Nazis with the technology to build the hollerith machines which were used in concentration camps to determine when people would die according to their age, weight, height, and other attributes. Nazi Germany’s two largest tank producers were Opel, (a subsidiary of General Motors in the US, which was controlled by J.P. Morgan), and the German Ford A.G., (a company which was a subsidiary of Ford Motor Company of Detroit). Nazis visited the Ford factory in Detroit where they learned the techniques of straight-line assembly which were adapted to construct their dive-bombing stukas. Wall Street continued to build Nazi Germany until 1944. The confirmation that these industrialists built the Nazi War Machine was also mentioned in the post WWII Kilgore Committee, which attributed it to a mistake. The building of Nazi Germany by Wall Street was covered up by the Council on Foreign Relations through the Control Council which moved into Germany after the war and was given the task of preparing directives for the arrests of war criminals. It was headed by Louis Douglas of the Morgan-controlled General Motors; William Draper, partner in the Dillon, Read firm; and General Lucius Clay, the deputy military governor for Germany. All three were members of the Council on Foreign Relations. Fascist Italy was also funded by Wall Street. In November of 1925 J.P. Morgan loaned the Mussolini fascist government $100 million to stabilize the lira, in effect securing the fascist regime. In 1926 Italy’s finance minister Volpi di Misurata was convinced by Montagu Norman of the Bank of England and J.P. Morgan to set up a central bank known as the Bank of Italy. Morgan banker Benjamin Strong met with Volpi to finalize this. General Butler went public in 1934 after he was approached by agents of Wall Street and offered up to $300 million to lead an army of 500,000 veterans with weapons from Remington Arms Company into Washington D.C. to overthrow the federal government. The coup was to be funded by the American Liberty League which was a front for interests such as Morgan, DuPont, Mellon, Rockefeller, Pitcairn, and Pew. By this time Wall Street had already setup a central bank in Fascist Italy and had been running the German economy since the Dawes Plan of 1924, and controlled its central bank as well. Presumably, they planned to replicate the systems that they were establishing in Europe. The plot was investigated by the House Un-American Activities Committee (HUAC) in New York, which found Butler’s primary claim to be truthful. The mainstream media was used to discredit him and the committee. The wealthy elite who arranged the plot were never investigated. Historically, violence has been the primary method of controlling populations. At some point during the industrial revolution the wealthy elites made a change from the low-quality version of power which they used to control society (violence) to a better method (the money system). Before that, money could not be used as the main tool of social control because most people were not part of the money system. But as soon as factories began to emerge and people no longer grew or gathered their own food they became dependent on money for survival. The money system transformed all power relationships. Violence was no longer necessary as the primary tool for societal control. It is now possible to control a country by its credit system because most people depend on it. In order to control a nation you must control its economy with a central bank, which is a privately owned corporation. The central banks of France, Germany, Russia, and England were not owned by their governments, but by private interests. Karl Marx outlined a centralized credit system in the Communist Manifesto, which advocated the centralization of credit controlled by the state. Lenin said that creating a central bank was 90% of communizing a country. A nation whose economy is controlled by a private central bank has been called a debt vassal state. According to Professor Quigley, the goal of this network is to first control all of the governments of the world, then merge them into a global government, which is to be controlled in a feudalistic manor by the word’s central banks. These central banks are established by international bankers who have been described by Professor Quigley as those who are highly educated, cultured, civilized people, who favor the arts and are involved in academia. They frequently donated to colleges, professorships, opera houses, symphonies, libraries, and museums. They include: Baring, Lazard, Erlanger, Warburg, Schroder, Seligman, Speyers, Rockefeller, Miraboud, Mallet, Foud, Rothschild, and Morgan. The international bankers are different from regular bankers in several ways: They are cosmopolitan and international, they work closely with governments, and they are devoted to secrecy and the secret use of money to influence politics. In all major countries they setup various banking activities. This international banking fraternity functions through both corporations and governments. They often sought to control the money supply of nations. To do this, it was necessary to conceal or even mislead both governments and people about how money could be used for such purposes. The influence of these bankers on a nation’s economy is so great that a single international banker alone could destroy a nation’s economy by manipulating its stock market. By the 1920s control over most countries in continental Europe had been attained by the Anglo-American Establishment by creating central banks, most of which were setup under the direction of Montagu Norman, members of the New York Federal Reserve, and representatives of Morgan. Also, by this time Russia was communized with a central bank, making it appropriate for tyranny. All of this was done under the guise of creating stable credit systems. Presidents such as Andrew Jackson and Thomas Jefferson had frequent battles with wealthy elites who attempted to take over the federal government of America by controlling its money supply. In January of 1835 there was an assassination attempt on Andrew Jackson, where he would have been shot if a pistol didn’t misfire. President James Garfield warned on July 2nd of 1881 that the nation’s economy could be easily controlled by a few people if they could gain control of the money supply. Garfield was shot later in July and would die several weeks after. Lincoln was also opposed to the international bankers. He refused loans from the Rothschilds to finance the North during the Civil War. Lincoln warned that these wealthy elites were trying to overthrow the federal government. He was said to have been assassinated for opposing the international bankers. However, a central bank was eventually created in America, known as the Federal Reserve. One notable figure who contributed to its creation is a German banking associate of the Rothschilds named Paul Warburg, who migrated to the US in 1902 to lecture on the need for a central banking system. Warburg would eventually become a partner in Kuhn, Loeb, and Company, run by Jacob Schiff, whose family also had ties to the Rothschilds which went back a century. The Federal Reserve Act was drafted on land owned by J.P. Morgan on Jekyl Island off the coast of Georgia by Paul Warburg, Frank A. Vanderlip of Rockefeller’s National City Bank, and Senator Nelson Aldrich. Other attendees were representatives of J.P. Morgan such as Henry P. Davison and Benjamin Strong. It became law in December of 1913. The international bankers had officially established control of the United States. In June of 1932 Congressman Louis McFadden warned of an impending global state, controlled by international bankers, which they would create to “enslave the world for their own pleasure.” Congressman McFadden said this would be possible because the bankers were in control of the nation’s money supply by way of the Federal Reserve. The United Nations (UN) is an intergovernmental organization founded on October 24, 1945 to replace the League of Nations. Its goal is to achieve world peace, prevent wars, and facilitate cooperation in areas such as international law, security, economic development, and human rights. It contains multiple subsidiary organizations which carry out its missions. Also connected to the UN are the World Bank (WB) and the International Monetary Fund (IMF), which were created in 1944 to facilitate global monetary cooperation in order to abolish poverty. The World Trade Organization (WTO), which sets rules for international trade is also associated with the UN. The UN was formed after a conference known as the United Nations Conference on International Organization (UNCIO) which took place from April 25 to June 26 1945 in San Francisco. This conference was attended by leaders from 50 nations, and a variety of NGOs which were involved in drafting the UN charter. Also at this meeting were 47 CFR members including Alger Hiss and Harry Dexter White, both exposed as communist spies. Other CFR members were Nelson Rockefeller and John Foster Dulles. As we’ve observed, these individuals, and the CFR in general, had much to do with building Nazi Germany. On December 14, 1946 the UN took a gift of $8.6 million from John D. Rockefeller Jr. to purchase the 18 acres of land which it now sits on along the East River in New York City. Professor Quigley mentioned that the Anglo-American Establishment decided that UN would be at the top of this global government. Other astute researchers on this subject have agreed that the UN is yet another front for the international bankers, to be used as the controlling center of a world government, with the IMF and WB as the world’s central banks. The UN Charter, which the CFR would like to have the US Constitution replaced with, is essentially a charter for global communism. The Communist Party USA is said to have strongly supported the UN in its early history through its journal Political Affairs. H.G. Wells, who mentioned that communism would be used as a consolidation tool and who supported the League of Nations, referred to this movement as “outright world-socialism” that was scientifically planned and directed. In the form of the Trilateral Commission, the financial elite continued to infiltrate the federal government of the US by arranging for James Carter to become president in 1976. Both Carter and vice president Walter Mondale were members of the Trilateral Commission, an organization started in 1973 by David Rockefeller and Zbigniew Brzezinski to achieve global government. The establishment needed a new image and used the mainstream news to portray Carter as an innocent outsider concerned with human rights. According to former Arizona Senator Barry Goldwater, the commission was created by Brzezinski and Rockefeller to seize control of the federal government of the United States. Carter then installed other Trilateralists into important positions, such as his secretary of state (Cyrus Vance), national security advisor (Zbigniew Brzezinski), treasury secretary (Michael Blumenthal), defense secretary (Harold Brown), UN ambassador (Andrew Young), and senior state department officials (Richard Cooper and Warren Christopher). Ronald Reagan was not a member of this group, but his vice president George W. Bush was, and the White House during his administration contained many commission members. However, Reagan was a member of the closely related Bohemian Grove. George W. Bush was also a Trilateral Commission member. He and his son George W. Bush are members of The Order of Skull and Bones and the Bohemian Grove. The Bilderberg Group, founded in 1954 by Prince Bernhard of the Netherlands (a former member of the Nazi SS), is an elite group that meets every spring at varying locations around the planet to make global policy. The Rockefellers and Rothschilds played an important role in its creation. The group is composed of European nobility including royal families from Britain, The Netherlands, Sweden, and Spain, as well as heads of multinational corporations, Wall Street investors, high-level politicians from Europe and North America, military leaders, international bankers, and media executives. There are about 100 members who attend regularly, with cross memberships in groups such as the Trilateral Commission, Council on Foreign Relations, Bohemian Grove, and the Order of Skull and Bones. Some past attendees include Henry Kissinger, Lord Peter Carrington, Queen Beatrix of The Netherlands, Prime Minister of Finland Esko Aho, German Chancellor Helmut Kohl, German banker Hans Otto Pohl, Franz Vranitsky President of Austria, and King Juan Carlos and Queen Sophia of Spain. Others that have attended are Jacques Chirac of France, Etienne D’avignon Societe General of Belgium, Ali Babacan Minister of the Economy in Turkey, President of the French National Assembly Jean Louis Debre, and members of the Rockefeller and Rothschild dynasties. Their meetings are said to be financed by tax-exempt foundations, such as Ford, Carnegie, and Rockefeller. All mainstream media outlets have attended these meetings. Some include representatives from ABC, NBC, PBS, US News and World Report, Time Magazine, New York Daily News, Atlantic Monthly, Wall Street Journal, Dow Jones and Company, Los Angeles Times, New York Times, Washington Post, and others. Since the years of Dwight Eisenhower, Bilderberg has had a direct influence on the White House. This control extends to its interlocked organizations such as the Council on Foreign Relations and the Trilateral Commission. They are accustomed to selecting and “owning” the president of the US. Jerry Ford and his vice president Nelson Rockefeller both attended these meetings. President James Carter and his vice president Walter Mondale attended Bilderberg meetings. William Clinton attended a Bilderberg meeting in 1991 and became president in 1992. He was also a member of the Trilateral Commission. Senators Hillary Clinton and Barack Obama are said to have attended a Bilderberg meeting together in Chantilly, Virginia on June 6, 2008. At Bilderberg meetings major policies which have global significance are decided. For instance, the plan for a common European currency (the euro) was formulated by the Bilderbergers. The euro was a major step toward global government and made it easier for the international banks to consume smaller banks. A global currency is said to be in the making. 1 According to Professor Quigley, this group consisted of an inner core of associates who knew exactly what the group was formed for, as well as a large number of people who formed the outer circle. Most of the outer circle members were not aware of the true objectives of the group. See Tragedy and Hope: A History of the World in Our Time. 2 Some sources mention that Wells and Russell were members of the Round Table. Professor Quigley says in his book, The Anglo-American Establishment, that Wells was not technically part of the Round Table, but was a member of a closely associated group known as the Fabian Society, which had frequent meetings with Lord Milner. Lord Russell was also a member of the Fabian Society and was part of this network. See www.wikipedia.org/wiki/Fabian_Society. 3 For this information see the book, Wall Street and the Rise of Hitler by Professor Antony C. Sutton. 4 Control by the Anglo-American establishment was also accomplished through its oil cartel beginning in the 1920s in Mexico, the Middle East, and other places. These companies are in the Middle East today, in countries such as Turkey, Syria, Lebanon, Saudi Arabia, Jordan, Iraq and Kuwait. 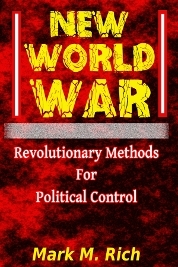 See the book, A Century of War: Anglo-American Oil Politics and the New World Order, by William Engdahl, which also describes how multiple mysterious deaths have occurred across the planet of individuals opposed to the Anglo-American invasion of their homelands. These deaths typically take the form of accidents and suicides.